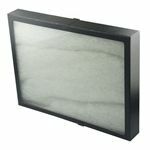 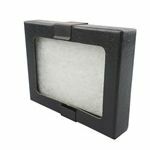 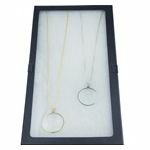 Riker Mount Display Cases.Our display boxes comes with metal clips to securely close the box—a major design improvement over the traditional design, which uses pins to secure the box closed. 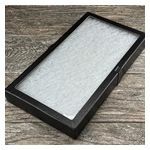 Our glass lid display box is filled with polyester so that your items have a soft cushion to be placed on. 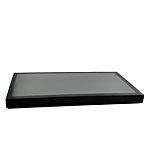 Glass Top Riker Display Box w/ Metal Clips, 8-5/8" x 6-5/8" x 3/4"
Glass Top Riker Display Box with Metal Clips, 14-1/2" x 8" x 3/4"
Glass Top Riker Display Box w/ Metal Clips, 14-1/2" x 8" x 1-3/4"
Glass Top Riker Display Box with Metal Clips, 16" x 12" x 2"